At Coleman Taylor Transmissions, our ASE Certified technicians utilize state-of-the-art technology to accurately repair your manual or automatic transmissions. We understand exactly how your vehicle’s transmission operates, and will diagnose and recommend only the transmission repairs that your vehicle needs. Our technicians will also help you understand how to extend the life of your transmission and how to care for it properly, so you can avoid costly repairs in the future! We treat your vehicle’s transmission like our own, and want you to enjoy it for many years to come. Part of ensuring that is through regular preventative maintenance. Coleman Taylor Transmission drivetrain techs are equipped and skilled in the latest repair tools. Transmission repair is all about precision, and our computers scan for potential problems. We have no problem fixing leaking gaskets, o-rings, axle reals, flywheels, driveshafts, constant or universial velocity joints and more. Coleman Taylor Transmissions handles major repairs just as efficiently as minor repairs. Whether your vehicle’s transmission needs repair or a complete replacement, our technicians are certified to handle it. A team of certified technicians can remove, disassemble, rebuild, calibrate, and reinstall transmissions as needed. 100% quality OEM parts and fluids are always used. Call us at 1-901-837-7735 or stop by our transmission repair shop at 96 Quinton Drive in Munford, TN and just minutes away from Atoka TN and Millington TN. 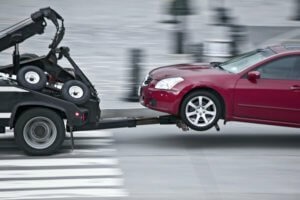 Call Us Today if You Need a Tow! Did your transmission fail, and you’re stuck on the side of the road? Call any of our Coleman Taylor locations within 50 miles for a major repair, and we arrange for your vehicle to be towed to our location for free! Our transmission experts have been in the transmission repair and rebuild business for over 55 years, and every major rebuild service is backed with up to a 5 year/100,000 mile nationwide warranty. What is Considered a Major Repair? Call us today at any of our locations! Our Munford / Millington team are all seasoned driveline specialists.We handle clutch repair, torque converter, check engine light service, transmission flush, automatic transmission repair, manual transmission repair, CVT repair, transfer cases, rear and front differentials, front wheel drive, 4-wheel drive, flywheels, driveshafts, constant or universal velocity joints, etc.